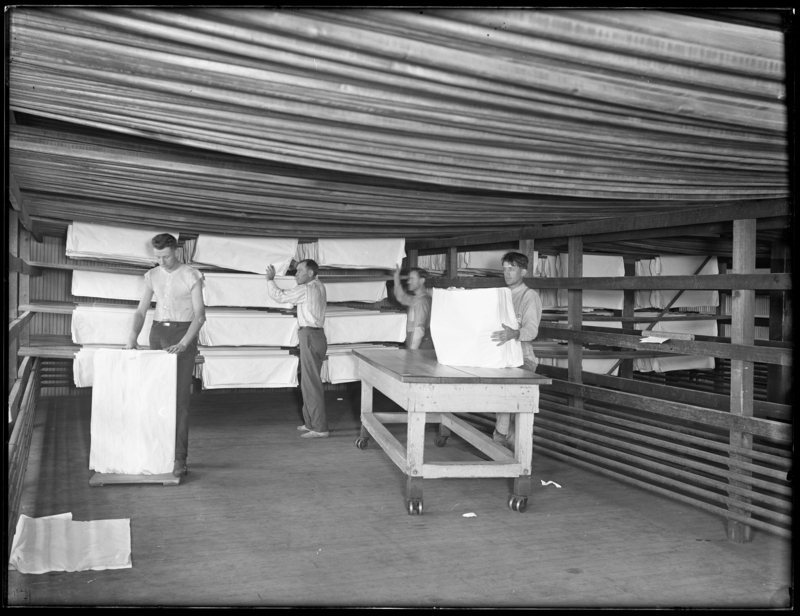 This past spring I obtained a set of sixteen glass plate negatives showing interior views of the Lee Paper Company in Vicksburg in 1917. Lee was a manufacturer of fine ledger and writing papers and began operation in 1905. 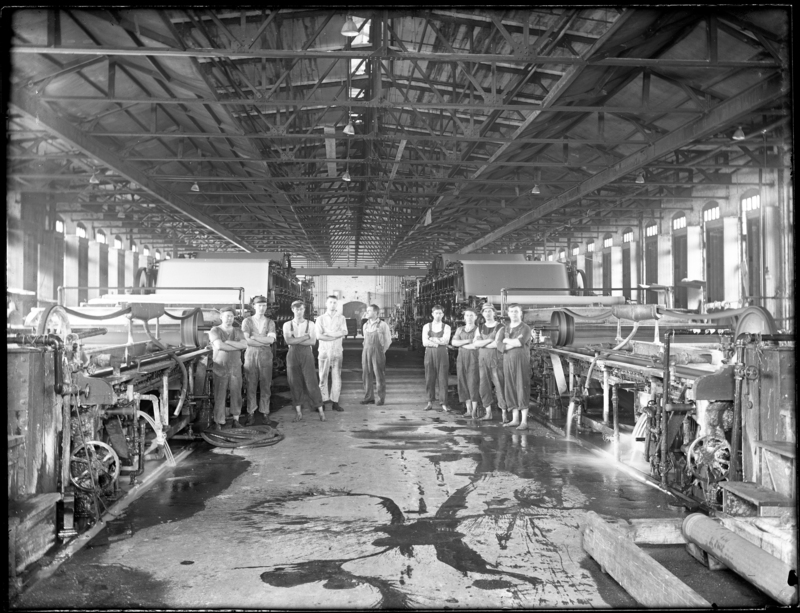 The mill was unique to the area, as the new paper was air-dried in a loft verses being dried on the paper machines. This was done to create a more durable product. The images provide an amazing glimpse into the mill’s operation. The detail is rather astounding, small scans on the web really can’t do them justice. I’ll eventually get all of the photos uploaded here, but for now enjoy these four as a teaser of things to come. 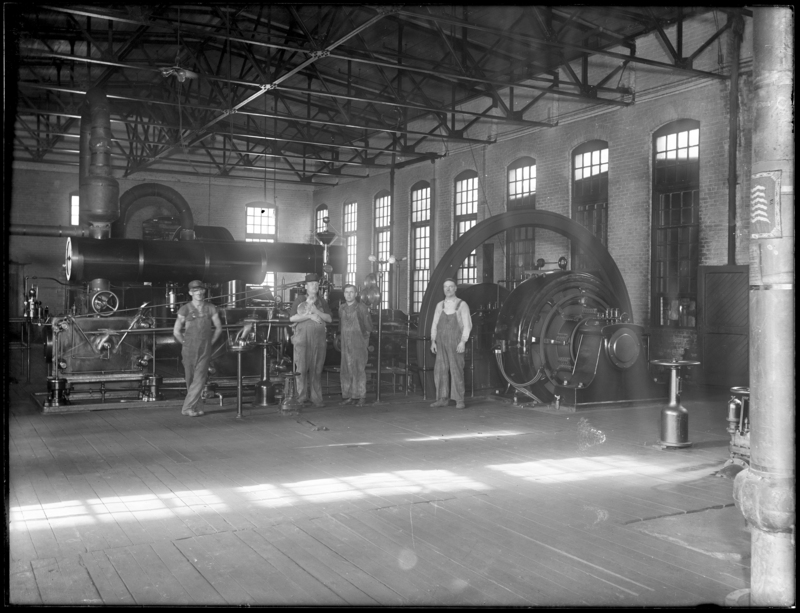 Engine room of the power plant. 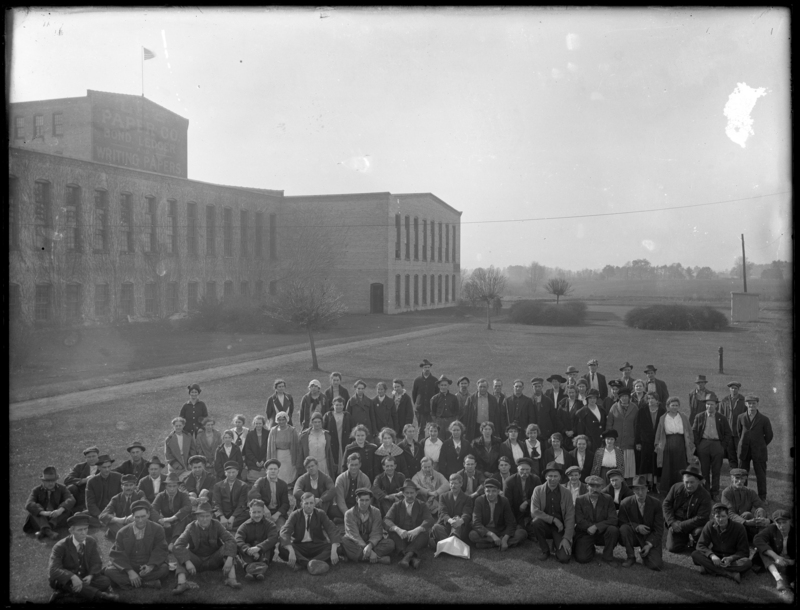 Staff outside of the mill.